Pamberi Steel Orchestra, formed in July 1980 in San Juan, is considered one of the most promising and innovative bands coming out of Trinidad, the birthplace of the Pan and the Steelband. Pamberi has the solid reputation of a band committed, through a programme of experimentation and research to the xploration of new horizons in steelband music. Pamberi Steel Orchestra broke new ground and created quite an impact by introducing the classical music of contemporary composers into steelband music in Trinidad. 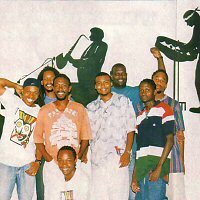 In its quest to establish new parameters for steelband music, Pamberi has experimented regularly with original compositions. Their touring programme is very impressive, for two consecutive years, in 1981 and 1982 Pamberi toured Europe (France, Italy, Switzerland) and appeared in major festivals and impromptu concerts. 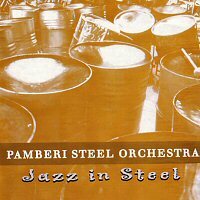 In 1993 Pamberi Steel Orchestra was the special guest of the opening event Landmark Plaza and the first Dockyard GArden Summer Festival organized in July 1993 in Yokohama (Japan). Since then, Pamberi has been to Japan six times. Born in the late 1930's in the island of Trinidad, in the West Indies, the African descendants , in a spirit of rebellion and freedom to express the music ringing in their heads, started beating on pieces of metal. Today the steel pan is a very sophisticated musical instrument. So... take your time and discover this amazing series which carries you through the realms of the steel pan.